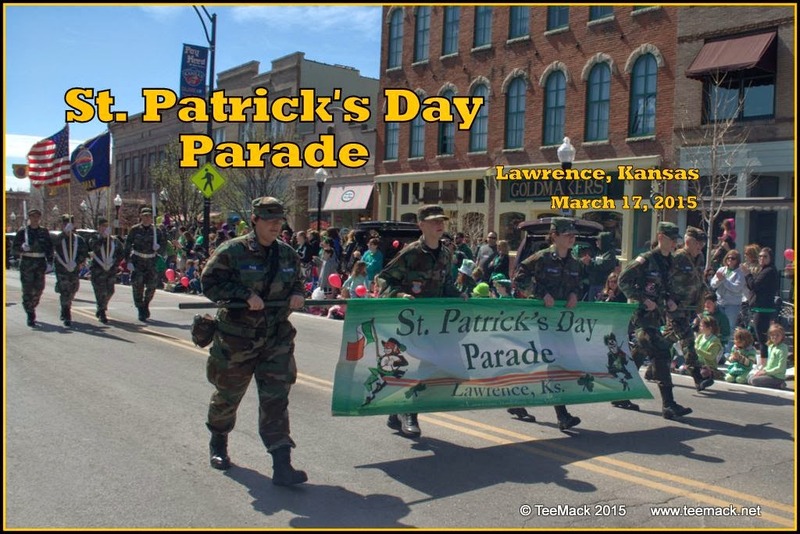 The 28th Annual St. Patrick's Day Parade was held in Downtown Lawrence, Kansas on March 17, 2015. One of the features of the parade was the Express Clydesdales from Oklahoma. Also, featured in the Parade was Rich Johnson's Batmobile. The theme of the Parade this year was "Keep Calm and Parade On". Even though the temperatures were in the 50's , there was plenty of Sunshine for the Parade. Click here to view photos of the Parade.